We bring to you an 8 days/ 7 nights tour package including a tour to the popular pilgrimage destinations of India. 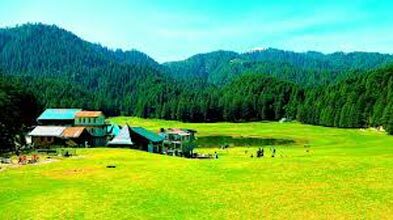 The tour covers destinations like Chandigarh, Mansa Devi, Kangra Devi, Dharamshala, Katra and Amritsar. These destinations are home to revered shrines that hold much religious importance and are visited by devotees from all across the world. 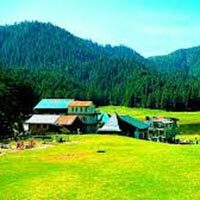 Nau Devi darshan tour package is specially designed to match to the requirements of all the travelers. During this tour, you get to seek blessings at Mata Mansa Devi Temple, Chintpurni, Naina Devi Temple, Chamunda Devi Temple, Mata Jwala ji Temple, Brijeshwari Temple, Sheetla Devi Temple and Vaishno Devi Temple. This morning, leave for Dharamshala. On arrival, complete all the check-in formalities at the hotel. Seek blessings at Mata Jwala ji Temple, a revered temple dedicated to Goddess Jwalamukhi. The temple has nine permanent flames that have been named after goddesses- Mahakali, Unpurna, Chandi, Hinglaj, Bindhya Basni, Maha Lakshmi, Saraswati, Ambika and Anji Devi.